Hi Claire, thanks for taking time to answer a few questions for the Mighty Cheeseboard. Can you tell us a bit about how you got into the world of cheese making? Burt's Cheese started out life in January 2009 as a ‘hobby’ on the kitchen table. I was working for an Irish Dairy co-operative and during me career there studied at Reaseheath College and also gained experience working with other cheese & food companies. 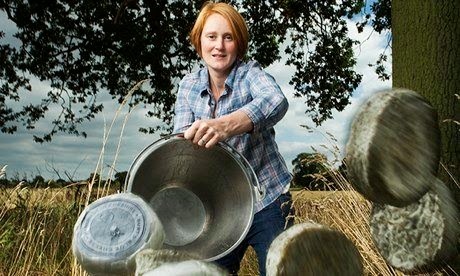 In between starting a family, I decided to leave my career at Dairygold Food Ingredients and set up Burt’s Cheese and with help from the local authorities, such 'Made in Cheshire', Business Link and Environmental Health I first made at home and began supplying individually made cheeses to her local farm shop and deli. In 2010, I proudly won the Specialist Cheese-Makers Class for Blue Cheese at the International Cheese Show in nantwich and decided to turn the hobby into a business and scale-up production and by the end of 2010 Burt's Cheese moved into premises, situated in Altrincham. Today Burt's Blue Cheese is an award winning Cheese (International Cheese Show - Gold 2010, Food North West Heart Award in 2011, British cheese bronze 2012, Local Business Accelerators 2012 and most recently OFM best producer 2013) produced using local pasteurized milk, each cheese is hand crafted, either as a 'mini' round 180g, individually wrapped or as a 'larger' wheel typically 1kg. It is listed in Farm Shops around Cheshire, specialists Cheese Shops, and distributed by a local specialist Wholesaler to some of the top restaurants in the NorthWest and we are now developing sales outside the northwest. Burt’s Cheese continues to grow and has recently moved to new premises end of last year and developing another cheese with more in the pipe line, we have doubles the workforce in taking someone on and we try and focus on producing high quality handcrafted cheeses using only the best local ingredients. What have been your highs and lows so far in your career as a cheesemaker? There have been many highs and lows, and we still have highs and lows, I think winning Observer Food Monthly was definite high, it's like a big pat on the back for all the hard work and it was a great night out in London! There have been plenty of lows as a small business everything is very real and it's not just been about the cheese-making, starting a business is hard and it's still has it's challenges. Other than your own, what cheeses would make it onto your cheeseboard of choice? Burts Blue has won many awards and now with the addition of Drunken Burt, you seem to be impressing a lot of food critics & cheese fans. Is there anyone who has surprised you who has said they have enjoyed your cheese? To be honest it makes me very happy when a customers emails, tweets that they like Burt's Cheese I just want to make good cheese that people enjoy, of the high profile customers, I feel very proud that Tom Kerrridge originally took Burt's Blue and now has Drunken Burt on his cheese board at the hand and flowers and then when I looked at the judges for the 2013 OFM awards I still struggle to think, they voted for Burt's Cheese. What 3 words would you choose to describe Burts Blue to someone who has never tasted it? 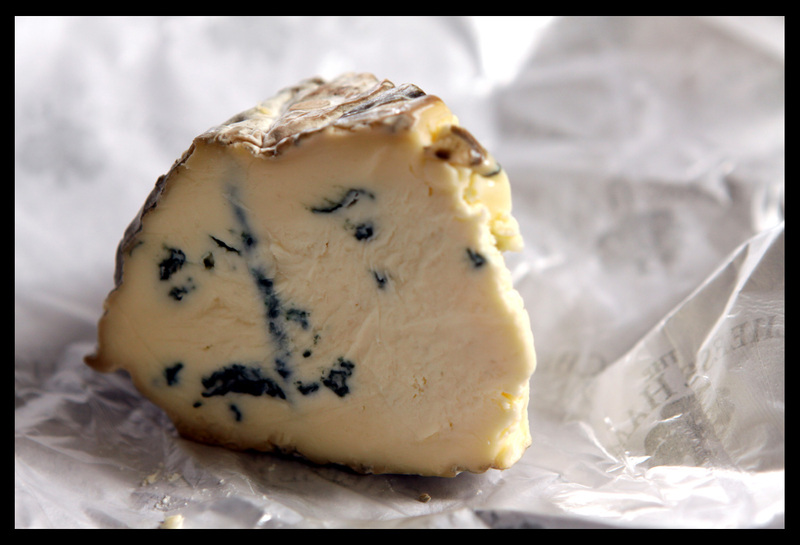 Can you recommend a good wine you would choose to pair up with a good wedge of Burts Blue? A sweet Greek wine called Samos pairs really well. You added Drunken Burt to your cheese production last year, do you have any other variations/new cheeses in development? Yes we're are playing with wrapping a washed cheese in vine leaves, going to start tasting it the markets and get some feedback but feedback so far is good. Finally, if you could choose any celebrity to promote your cheese, who would you pick and why? Just finished watching Breaking Bad, it would have to be Walter White, he's good at sales!